What is Bella, an African Cinderella about? 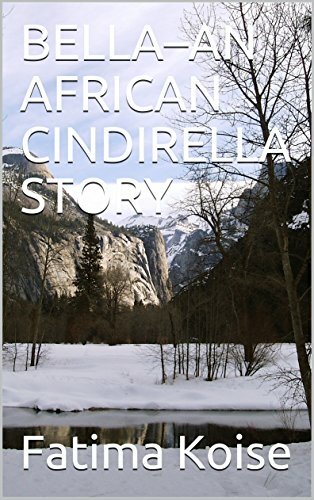 The book is a retelling of the classic Cinderella fairytale from a purely African perspective. Both the young and adult readers will treasure the re-twist of the African version of the story. An African Cinderella story, told from a watchful Godmother’s point of view and brought to life based on an African version of the story. It tells the story of a poor orphan who is left a magic silver ring by her mother and discovers its power to help her beloved daughter. A beautiful girl is transformed into a pig. No coaches, but a horse; a silver ring instead of a golden slippers, pigmies and cowries were also featured to give the narrative an African taste. And stepbrothers added to stepsisters with the result being an outstanding Cinderella story different from any other collection. As this is a children’s book, permit me to plug my upcoming children’s book that I’m optimistic you would love. It’s called Useless Warrior Princess. It’s a fully illustrated children’s book suitable for children aged 2/3 and above. My friend said even her teenager loved the illustrations. I’m especially proud of this book as I did the illustrations myself. You can order your copy on Amazon now. This entry was posted in Uncategorized and tagged AFRICAN CINDERELLA, an African Cinderella, an African Cinderella by fatima koise, Bella, FATIMA KOISE. Bookmark the permalink. ← Wonder how you can market your book to bookstores?